For this series, I’d like to walk through several of the various volunteer projects out there. 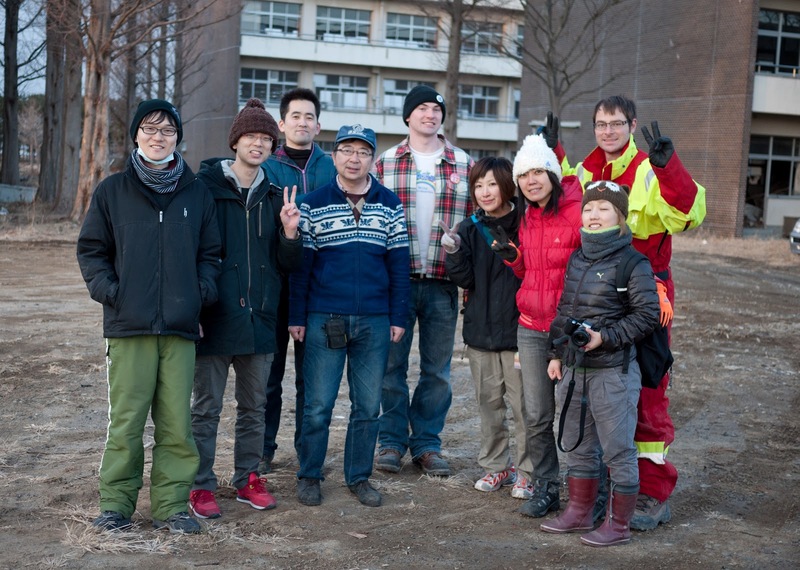 Volunteering in Tohoku involves many different types of work. Everything from gutting buildings – digging and scrubbing mud – gutting houses – knocking down walls – running community cafes – holding soup kitchens – clearing ditches – building shelves – unloading massive trucks – and so forth. residents of the Temporary Housing facilities. However, many of the prefecturally managed distribution centers will be disbanded on March 11th, following the first year anniversary of the disaster. there was no way to confirm when the trucks should be coming. units in the near future. process. Please check it out! The trucks have finally been emptied. Otsukare sama deshita / After the long day.